Arsene Wenger has admitted that Arsenal were powerless to stop Robin van Persie signing for Manchester United. 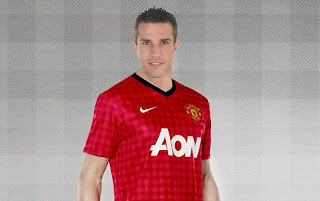 United sealed the signing of the summer on Wednesday night when Arsenal agreed to sell Van Persie to their Barclays Premier League rivals for £24million. Van Persie arrived at London St Pancras train station on Thursday morning ahead of his trip to Manchester to complete his medical. After weeks of negotiating with Arsenal and the Holland striker, United have beaten Manchester City and Juventus to Van Persie’s signature and the 29-year-old had a medical at Old Trafford on today.